Gor Mahia are out of the Cecafa Kagame Cup after going down 2-0 to Azam FC in the semi-final played at National Stadium, Dar Es Salaam Wednesday. Two extra-time goals from Ditram Nchimbi and Bruce Kangwa saw the home boys sail through to the final slated for Friday at the same venue. 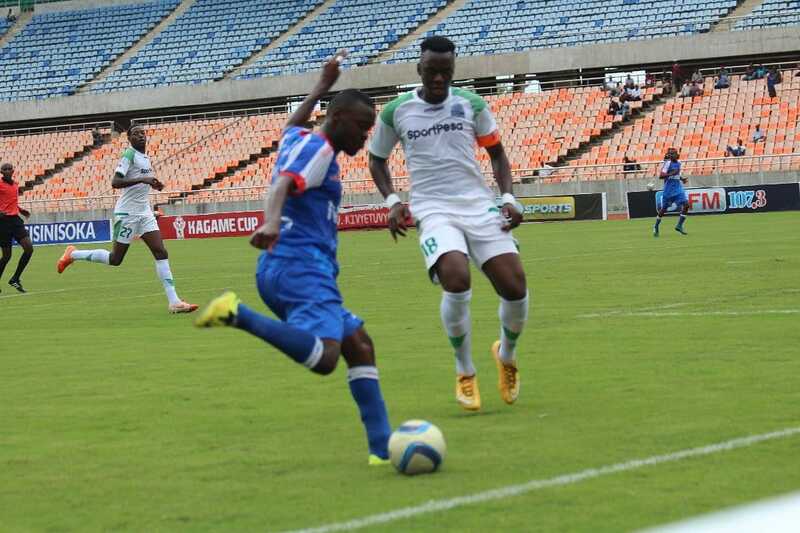 Azam dominated the Kenyan champions in the first half with their sleek passing game, but could not break their backline marshaled by skipper Harun Shakava. K’Ogalo tinkered a bit with their line up in the second half adding an extra body in the midfield hence denying Azam spaces to operate, however, their striking lacked the cutting edge. A defensive lapse in the extra time gave Azam the opportunity to go ahead and Ditram did not disappoint firing a grass cutter past Boniface Oluoch in the 92nd minute. Gor would concede the second from a devastating counter attack which Kangwa completed with panache in the 100th minute. The team remains in Dar for third place playoffs against the loser between Simba SC and JKU on Friday in the second semi-final. Gor have been active since the beginning of year competing in various competitions and could be falling to fatigue if today’s lackluster performance is anything to believe.